Sadly, these are troubling times for many American families. Several families have credit card bills, medical bills, even house payments that are piling up. Their payments are significantly higher than their income resulting in late fees and more penalties. They are drowning in debt and can’t find a way out. Not only are they being harassed by collection agencies; but, many of them run the risk of losing everything, even their homes. Luckily, there is a solution, bankruptcy. Bankruptcy is a way to dismiss your debt and start over. Read up on what can a business attorney do for you?. As a bankruptcy lawyer in Kansas City, we take pride in making sure you know what to expect within the bankruptcy proceedings. As such, we would like to acquaint you on how we typically handle these types of cases. We know our clients will find it helpful to know what will happen up front when dealing with a bankruptcy lawyer. Your initial contact with our office by phone or email, we will begin by asking you some basic questions. What type of debt caused you the most problems? Do you own property? Are you employed? Do you have a family to support? In finding a bit more about your situation, we can gain a greater understanding of your financial situation. If you have a potential case, you will be offered a initial consultation at our office. At this point, many people begin to question what is needed at the initial consultation. During the initial consultation, we will discuss your financial situation in greater detail. We can begin to determine if bankruptcy is the right move for you. If so, we can begin to discuss the benefits of the different types of bankruptcies, with regards to your situation. Once filing is decided, we will have you fill out a number of questionnaires with our help. These will help with the filing process. During the time before you file, you will be required to complete one consumer credit counseling session. Basically, you must provide a full and honest disclosure of your financial situation and abilities to creditors and the bankruptcy court. If you fail to do so, there could be major issues. Once the pre-filing process is complete and the paperwork is collected, we will then file a bankruptcy petition for you with the federal bankruptcy court. As the petition is filed, all procedures against must cease. No more calls from creditors, no more wage garnishment and no more home foreclosure proceedings until after the filing is settled. Once your bankruptcy lawyer has filed, a court will appoint a trustee to pay your creditors. You’ll also have a required meeting with your trustee and creditors. You may also be required to attend another credit counseling session. 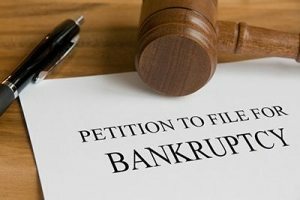 Filing for Bankruptcy in Kansas City? If you’re in need of a bankruptcy lawyer in Kansas City, we hope you’ll contact us. Here at Paulus Law Firm, we strive to be the best bankruptcy lawyers in Kansas City. If you are dealing with any issue involving potential bankruptcy, please reach out today. If you need to start over contact the bankruptcy Lawyers at the Kansas City office of Paulus Law Firm at (816) 237-8502 for a free consultation.